A few years ago Maileg produced rabbits with their own carrots - they came tucked into their pockets and were very sweet. 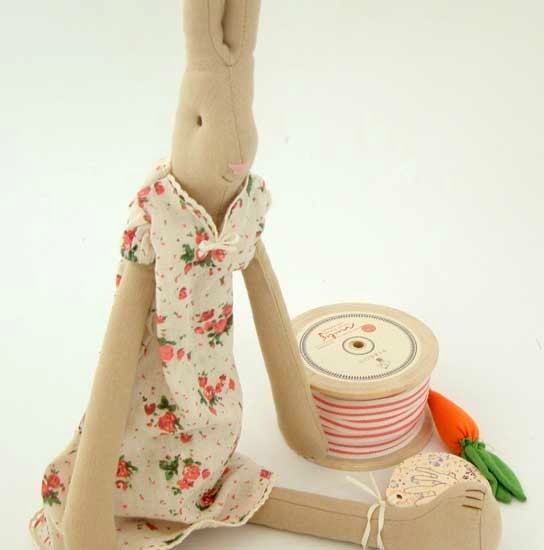 Maybe they will again one day, but in the meantime why not have a go at making your own? 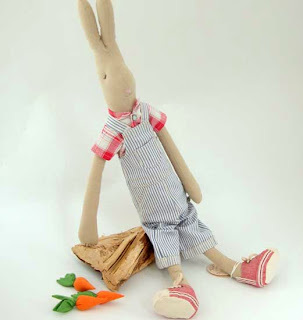 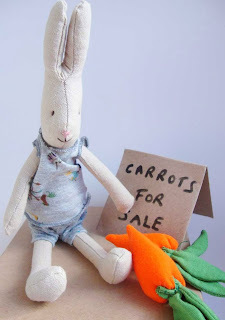 I have a little bunch of fabric carrots here at Cottontails which I use a lot when I'm photographing the bunnies - and they are actually not that hard to create. 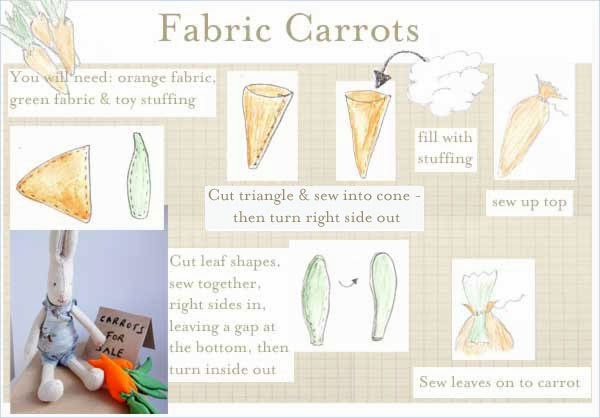 Simply take a triangle of orange fabric, sew up two sides to create a cone, flip inside out and fill with stuffing, then tie up the top using some bits of green fabric. 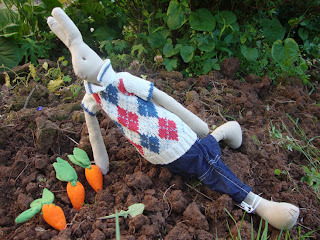 As I say, they're really not that hard to make - certainly much quicker than growing them! - and your Maileg bunny will be very grateful.